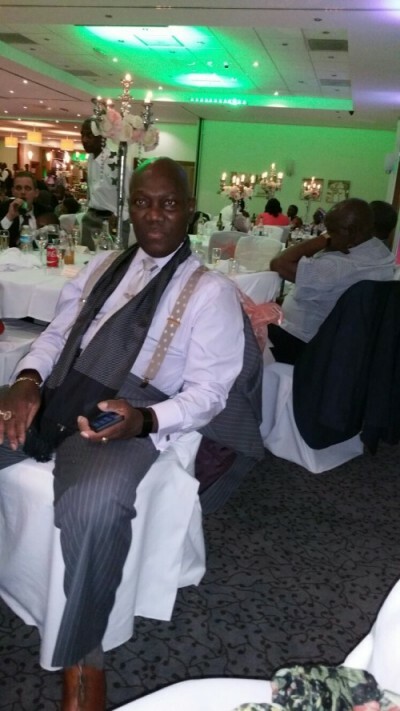 Victor Mambu, son of the late Lord Mayor of Manchester, UK – Councillor Sarian Abayomi Mambu, sadly passed away in Manchester, UK, on the 12th of November 2015, after a short illness. He was aged 59. (Photo of Victor, taken few weeks before passing away). Victor’s father was no other than the late Honourable Victor J. Mambu, popularly known in Sierra Leone as V.J.V. Mambu. Victor was born in the West End of Freetown, and grew up in Kissy in the East of the city. 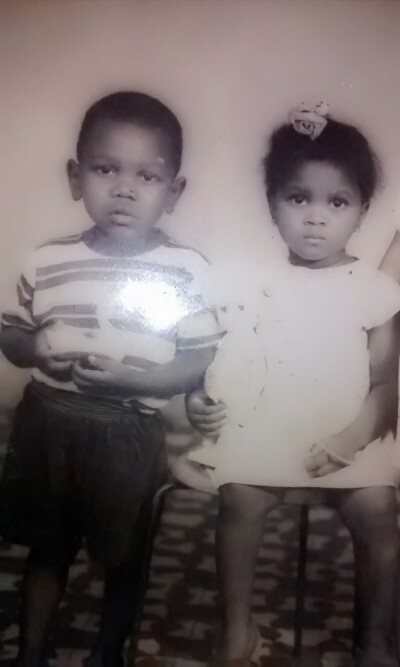 He attended the Kissy Primary School, before moving on to the Albert Academy in Freetown, and then on to the St. Francis Secondary School in Makeni. 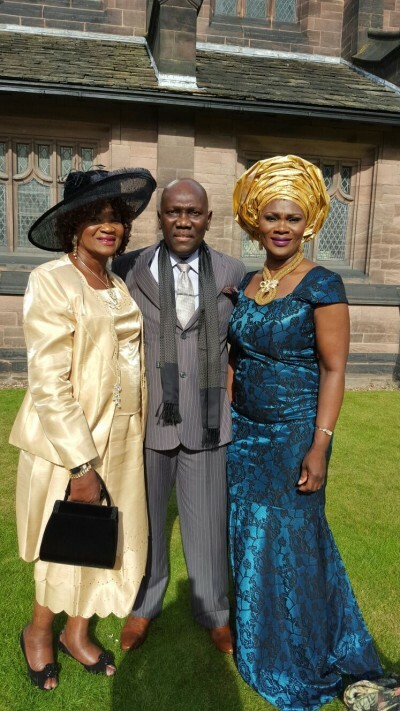 In August 1976, Victor emigrated to the UK as a young man in his early 20s to join his mother – The Lord Mayor Sarian Abayomi Mambu, and his siblings. And in 1982, Victor Mambu returned to His beloved Sierra Leone to attend Fourah Bay College in Freetown. Victor was a larger than life character. He was a socialite who knew how to enjoy life. He had a very happy and successful Masonic career. Last year, he was honoured with the Provincial Grand Rank in his Craft lodge, in the province of West Lancashire, UK. Victor was also an outstanding member of several lodges in the UK including Fallowfield and Inglemoor – both in Manchester, and Albert Gate in London. He was also a companion of the Trillium Royal Arch Chapter in Manchester. Victor Mambu worked in the Surgical Department of the Alexandra Hospital in Cheshire for over 15 years. He attended Sheffield University where he pursued his higher education. He is survived by his wife Theresa Mambu, daughter Lillian Mambu, his sister Victoria Mambu, and other siblings Josephine, Marina, Christian and Joey, and several other relatives in Sierra Leone, UK and USA. Funeral service will take place on Friday 11th December, 2015, at 10am, at the City of Manchester Cathedral, Victoria Street, Manchester, M3 1SX, followed by internment at the Southern Cemetery, Barlow Moor Road, Manchester M21 7GL. A reception will be held after the funeral service at the Usmania Banqueting Suite, 39 Varley Street, off Oldham Road, Manchester, M40 8EE. Speaking to the Editor of the Sierra Leone Telegraph – Abdul Rashid Thomas – who is a friend of Victor Mambu, one gets a true sense of the depth of loss that family and friends will now shoulder. “Victor was the spark that lit every social gathering. He was friendly, loved music, and enjoyed talking about his favourite football club – Manchester United. “We both left the shores of Freetown as two energetic young men, on board a Lufthansa flight bound for London on the 2nd of August 1976, not realising that we were both on transit to Manchester, where we were to start a new life. (Photo: Victor with his aunt- left and sister Vicky – right). Four months ago, the Sierra Leone community mourned the sad loss of another socialite and worldwide musical entertainer Bunny Mack. He too had an outstanding Masonic career. Both Victor and Bunny are gone, but never to be forgotten. Journalists in this country have no integrity. O salone. I saw this same article plagiarised and published by a reporter called Austin Thomas in Awoko without informing readers that it came from sierra leone telegraph. Shameful journalism. The IMC should crack down on this bad behaviour. It is not the first time I have read articles published by our local press after lifting it word for word from the telegraph. Too many Salone journalists are lazy and poor writers. Thats why they are stealing the hard work of others. Rest in peace. No matter how good the world talked about someone, you must leave this stage (planet earth) to meet the MAKER. So why should we be wicked to one another? Warning, whether you are good or evil, religious or satanic, black or white, rich or poor, etc, you must give an account to the Heavenly Father. Sad to lose people of substance, peace, and loved ones, whilst the evil ones stay alive terrorizing and making the world unsafe to live in. RIP – HOPE TO SEE YOU IN PARADISE. Thanks Abdul for such a indepth review of the life of a Wonderful Man who will surely be missed. He was a fine gentleman, hard working, well loved and respected especially in Manchester where he worked and lived. May he continue to rest in perfect peace. Victor was a very good friend and college mate of one of my friends Umaru Jalloh. Indeed he was a socialite and a very charismatic individual. His friendship knew no boundaries. May he find peace in God and may his family continue to have faith in God. Victor has definitely performed his role, and I am sure he did it with aplomb. May he rest in God’s peace. What a sad loss for the family. Manchester United have lost a great supporter. We will all miss him. Rest in peace brother. Rest in peace. The Day that God gaveth has ended and darkness has fallen.